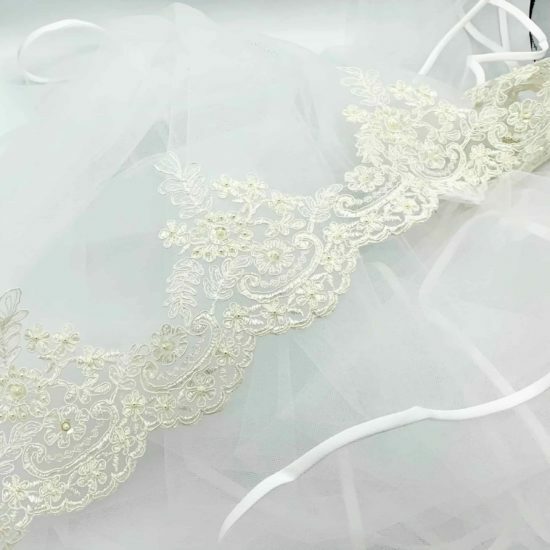 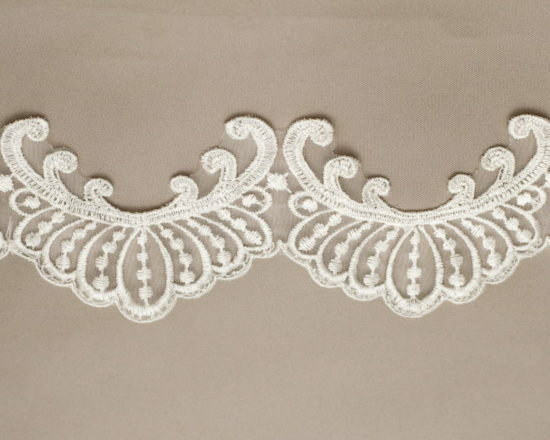 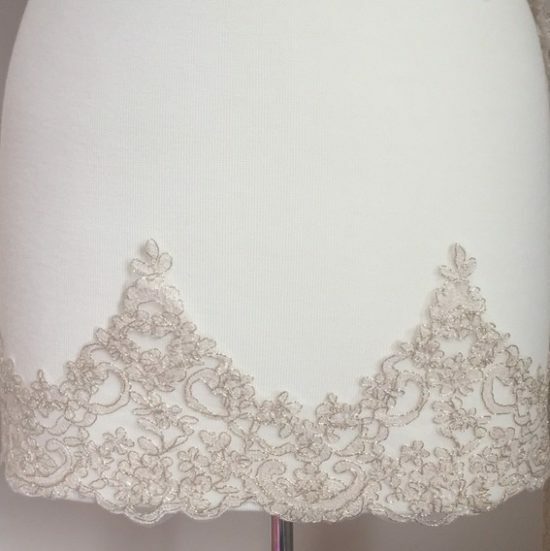 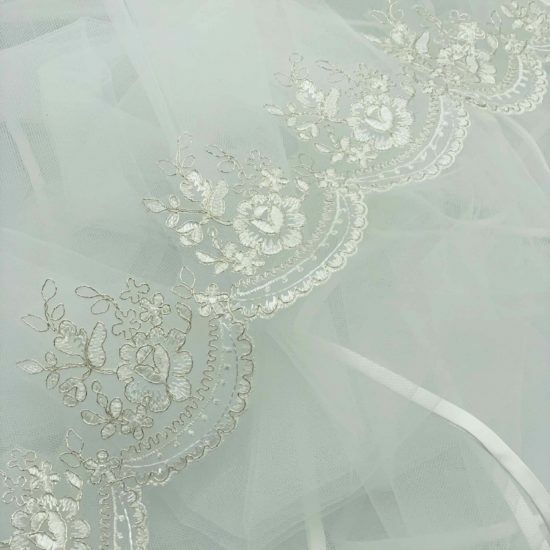 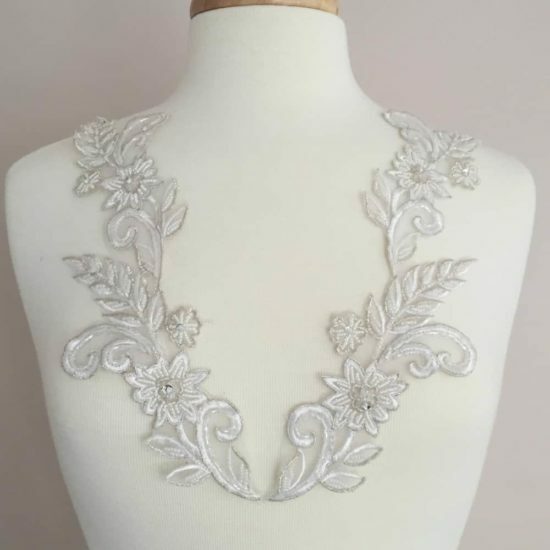 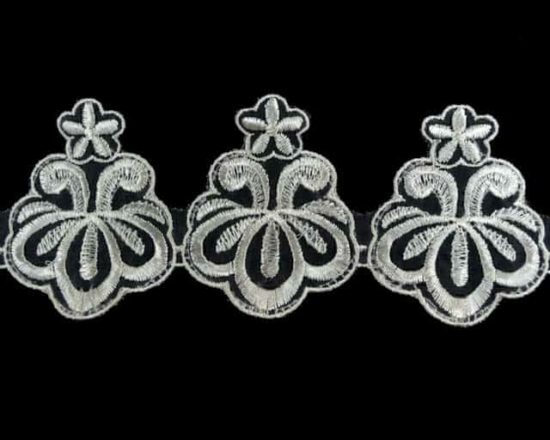 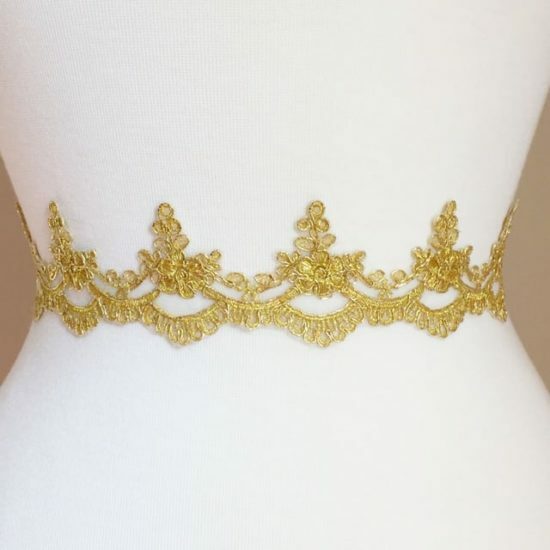 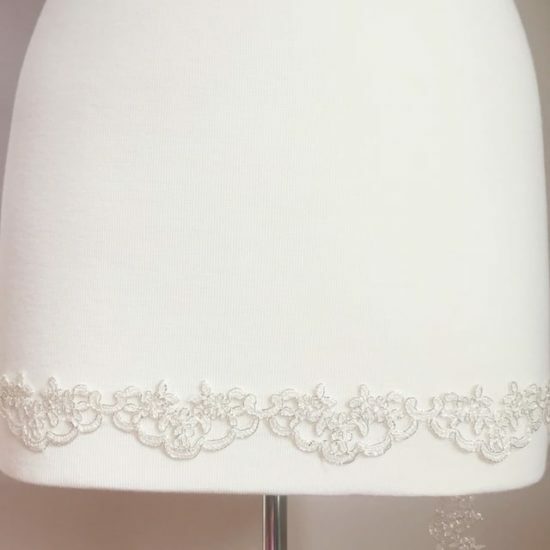 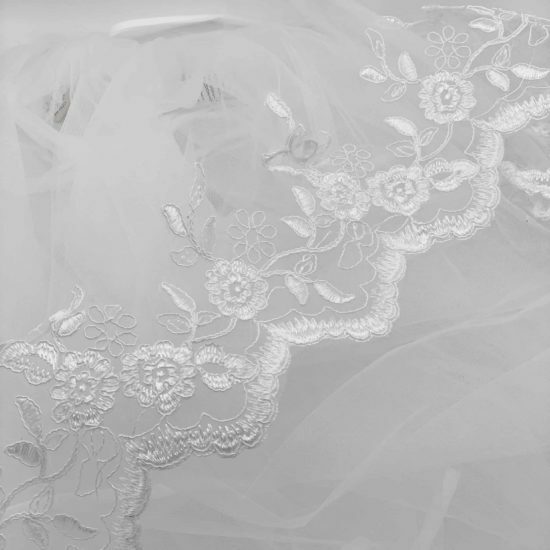 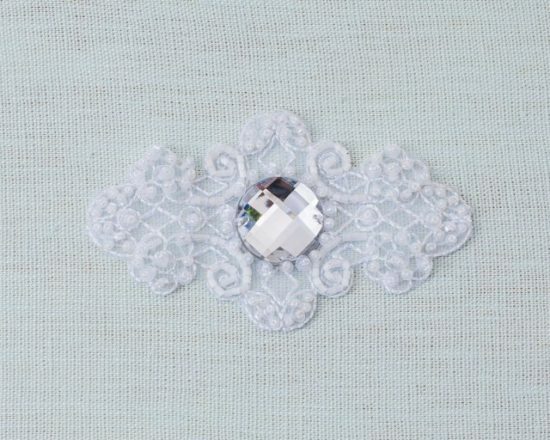 Bridal alencon style floral lace border trim with scallop edge. 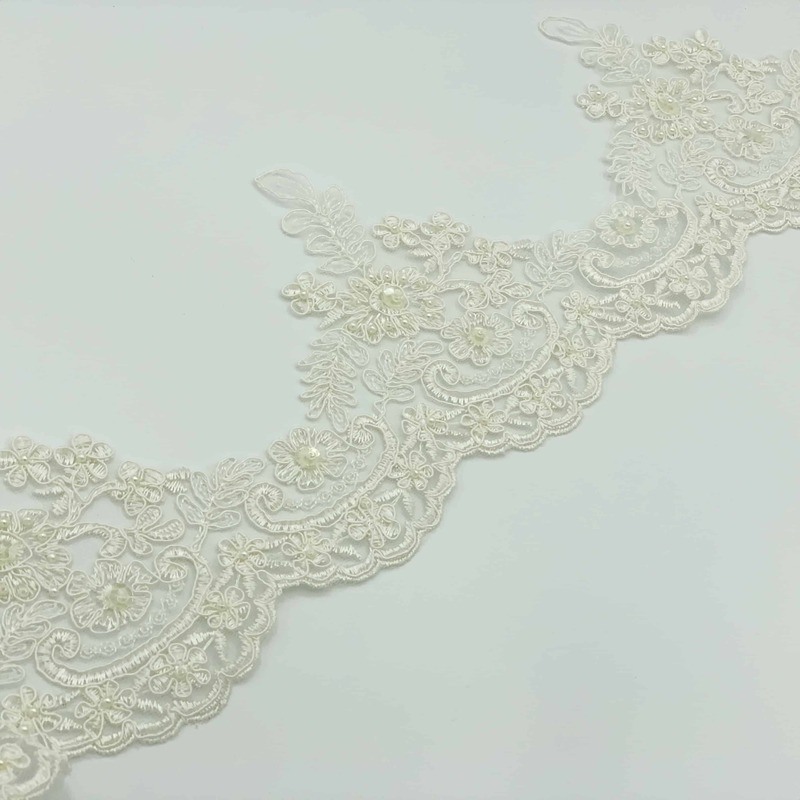 Classic detailed re-embroidered lace on netting background. 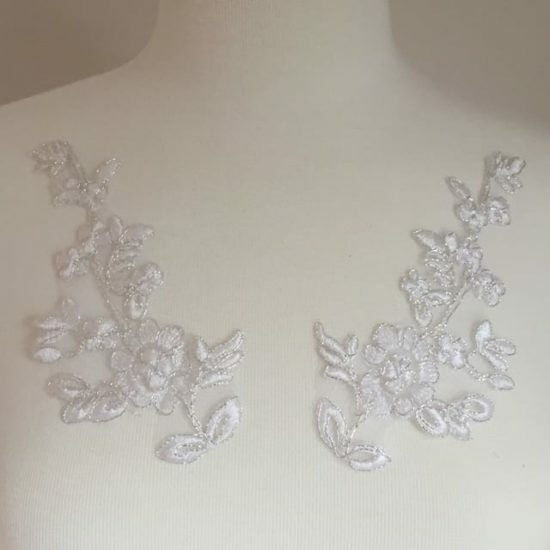 Pearl accents and clear sequin details. 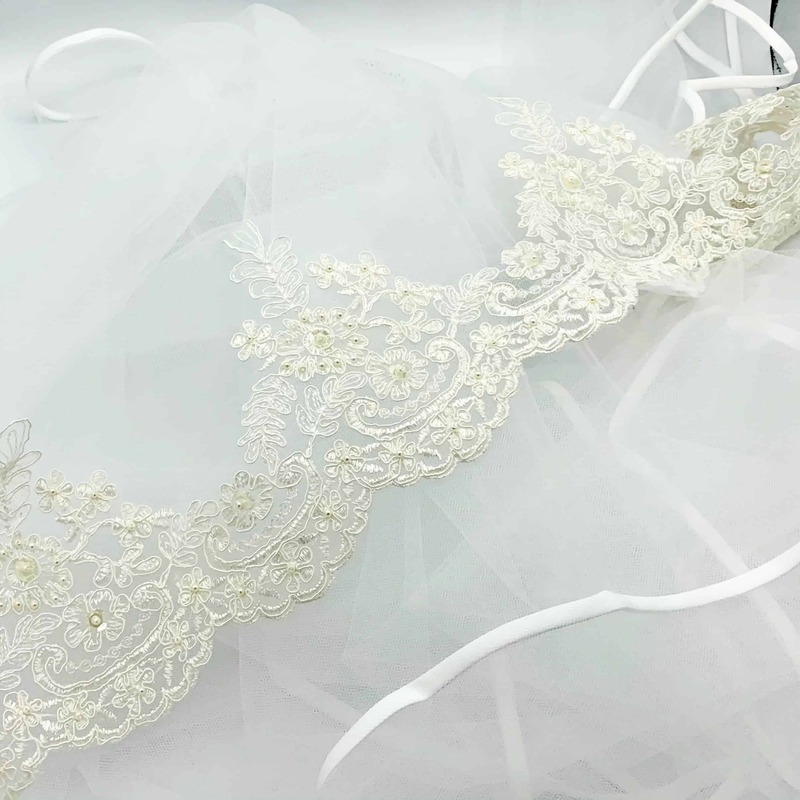 Gorgeous for veils, bridal gowns. 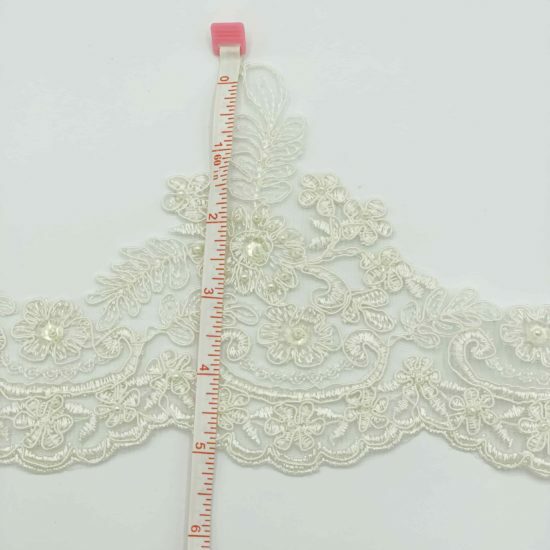 Size: 5.5″W (top to bottom at widest points), 2″W (top to bottom at narrowest points).